The first pendant created in this series. 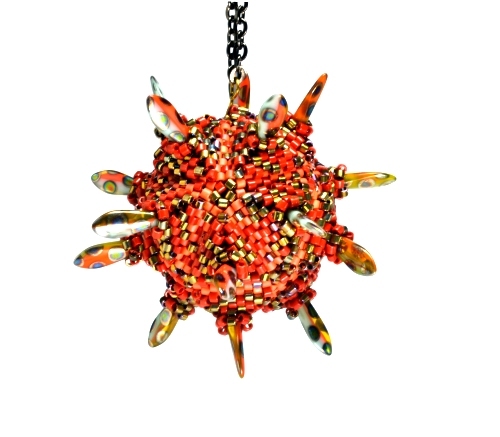 A large pendant which uses size 10 Delica beads combined with large dagger beads. This piece is taught in my Icos Pendants class.